Forecasters warn the storm could smash into the northeast Gulf Coast as a dangerous major hurricane within days. 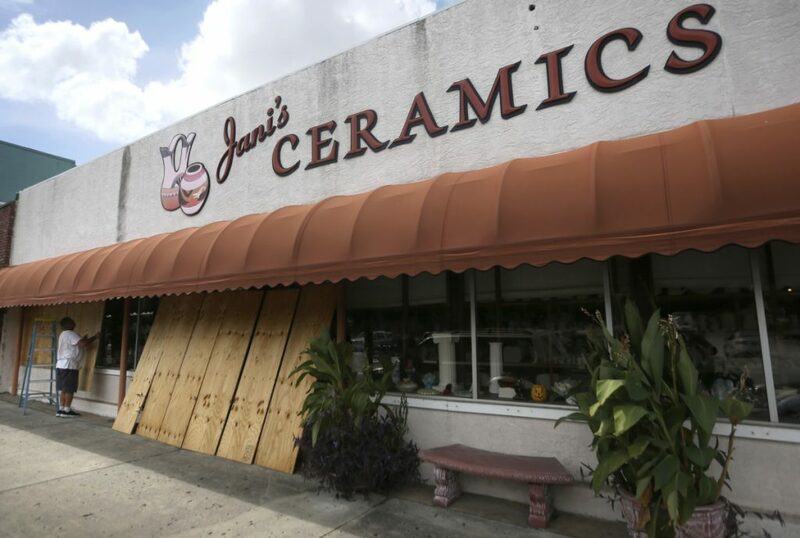 MIAMI — Residents of Florida’s Panhandle frantically filled sandbags, boarded up homes and secured boats in harbors Monday as they anxiously awaited Hurricane Michael, which forecasters warned could smash into the northeast Gulf Coast as a dangerous major hurricane within days. Fueled by warm tropical waters, fast-strengthening Michael could gain major hurricane status with winds topping 111 mph before its anticipated landfall Wednesday on the Panhandle or Big Bend area of Florida, forecasters warned. Florida Gov. Rick Scott called Michael a “monstrous hurricane” with devastating potential from high winds, storm surge and heavy rains. In the small Panhandle city of Apalachicola, Mayor Van Johnson Sr. said the 2,300 residents are frantically preparing for a major strike. “We’re looking at a significant storm with significant impact, possibly greater than I’ve seen in my 59 years of life,” he said of the city, which sits on the shore of Apalachicola Bay, an inlet to the Gulf of Mexico famed for producing about 90 percent of Florida’s oysters. By Monday evening, lines had formed at gas stations and grocery stories as people sought emergency supplies even as the anticipated evacuations would be intensifying in coming hours. Mandatory evacuation orders were issued for residents of barrier islands, mobile homes and low-lying coastal areas in Gulf, Wakulla and Bay counties. In a Facebook post Monday, the Wakulla County Sheriff’s Office said no shelters would be open because Wakulla County shelters were rated safe only for hurricanes with top sustained winds below 111 mph.